Without even realizing it, one child’s fun endeavor inspired other children to do good, and at the close of Western Day, the playground looked better. 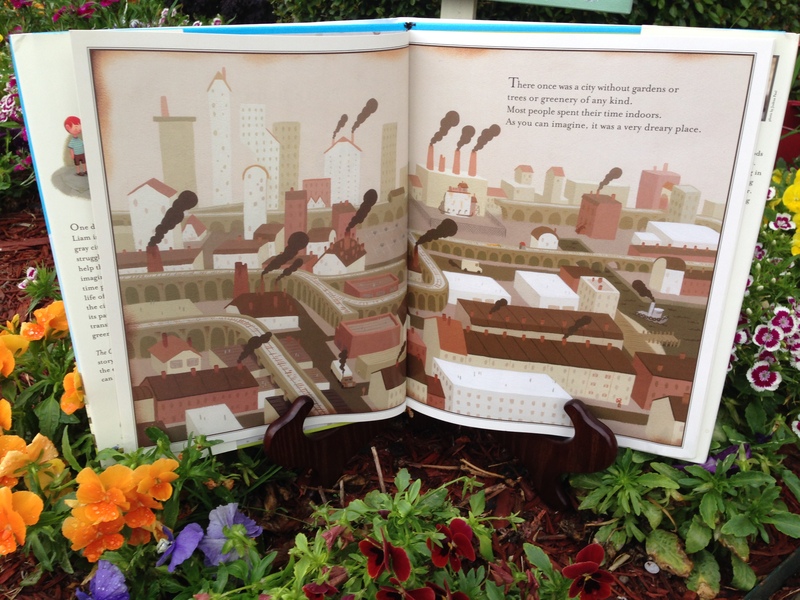 A very similar, but more elaborate scenario is featured in The Curious Garden. Come meet the boy that changed his town by seeing a small need and doing what he could do to help. Be inspired. Liam lived in a dreary town “without gardens or trees or greenery of any kind.” In spite of the dreariness, he loved being outdoors. One morning while wandering through his neighborhood, happily splashing in the rain puddles, he discovered a stairwell leading up to abandoned railway tracks. When he reached the top and stepped onto the broken down railway, he saw what he least expected: wildflowers and plants. Without being tended, the flowers were dying, and Liam saw that they needed a gardener. Although he didn’t fit that title, he was willing to try to help. This is the spot where it all began. The more he worked on the garden, the more he learned; The more the garden grew, the more he felt like a gardener. Eventually the green garden covered the drab railway. When winter came, the snow prevented him from his usual work, but instead of worrying, he prepared for spring. After the snow melted away, Liam worked hard to restore the garden’s beauty and soon, the curious garden explored more places. He was surprised by where the plants, mosses, and flowers popped up throughout his town. “But the most surprising things that popped up were the new gardeners.” Without even realizing what he was doing, Liam inspired his neighbors to turn their town from dreary to delightful. What a curious way to Go Green. F- When have you worked hard at something to the point you felt like a real ________? from those mistakes? Did you feel like quitting? Are you glad that you are still working at your skill and learning more? I- Imagine your favorite spot in your mind. Where is it? Why is it your favorite place? Has anything changed about that place over the years? 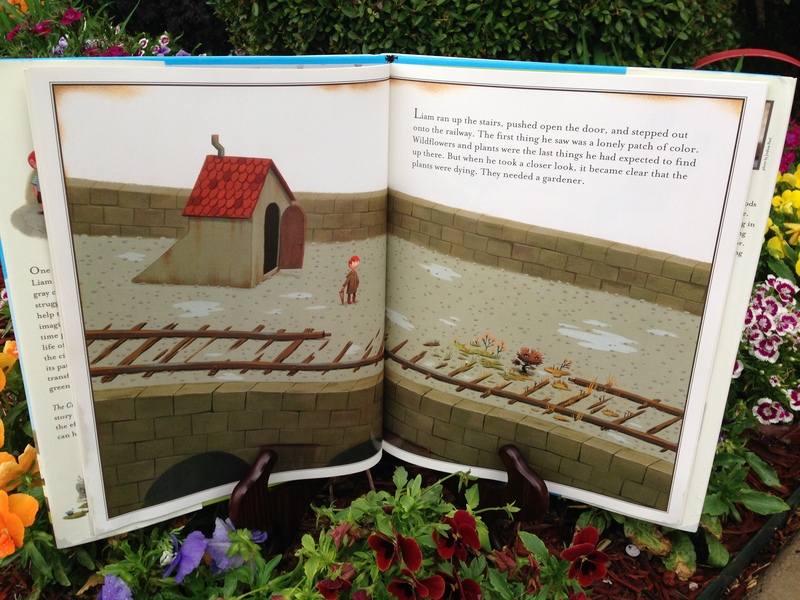 E- Explore the alliteration and personification Peter Brown so wonderfully embeds in his story. Read the book to your audience. Then show the Scholastic DVD of his book and have the kids find the places Brown uses these literary devices throughout his story. The words will appear on the bottom of the screen which really helps visual learners. Give the kids a treat, like gummy worms, for each example they find. *Example of alliteration: “Rather than waste his winter worrying . . .”. N- Navigate through your neighborhood and town to find ways that you can help make it better. For example, first start in your own yard by pulling weeds out of your garden. Then if your neighborhood has an entry way garden, go and pull those weeds. Organize a “trash and treat” time where you and the neighbors collect trash around the neighborhood and then meet at your place for a treat like a popsicle or cookie. Have fun and inspire others! 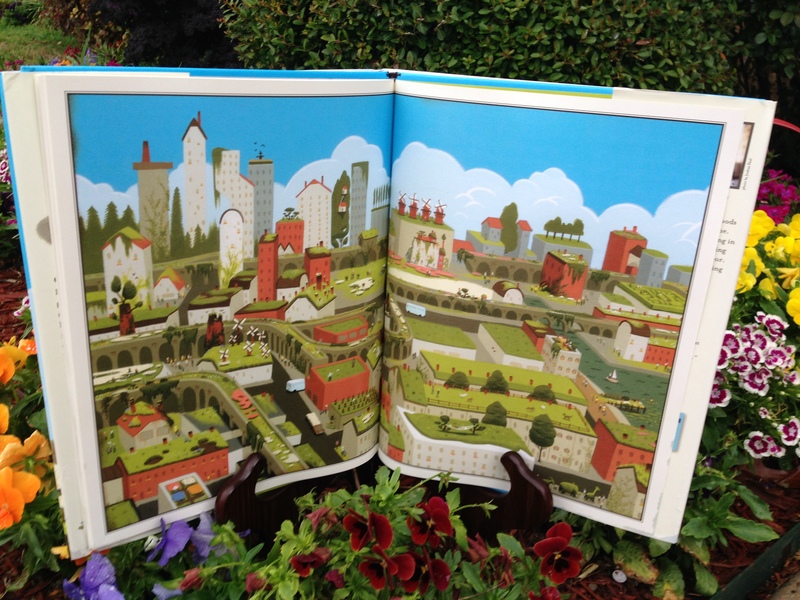 Peter Brown Studio shared Children’s Book of the Month Club‘s video. Mr Fischer asks me the tough questions in this grueling interview! 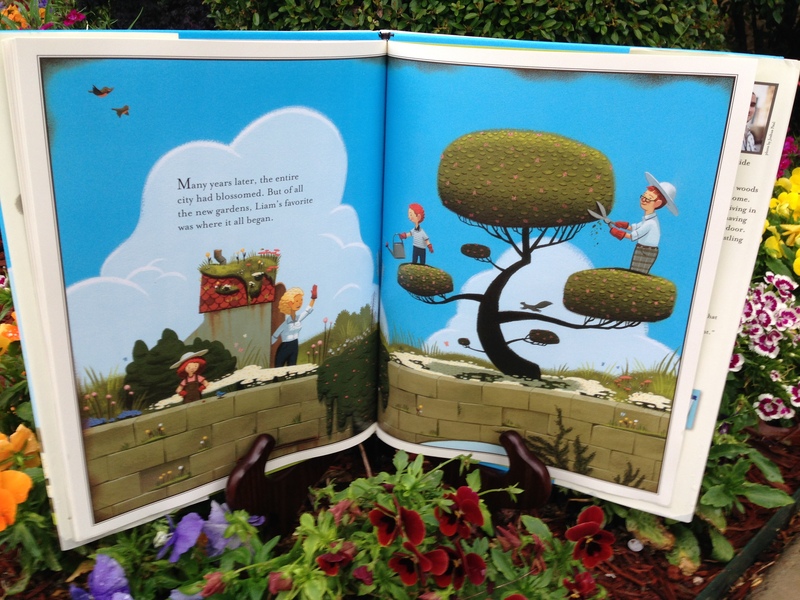 Peter Brown’s previous book, ‘The Curious Garden,’ brought home the E.B. White Award, and his latest offering, ‘Children Make Terrible Pets,’ is an illustrative and storytelling gem. Peter is the first author in our new CBOMC series where the kids get to ask their favorite authors and illustrators questions about their books–and, as is the case in this video, even pitch their own children’s book idea! — with Peter Brown. *Like Kidsbook Friends on Facebook today to receive more children’s book titles with correlating, creative activities for your audience. 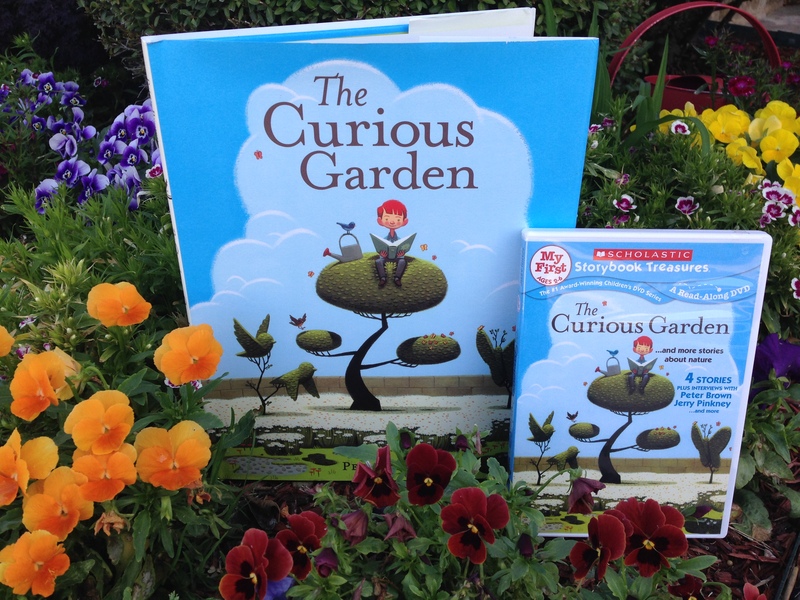 This entry was posted in garden and tagged garden, gardener, go green, Little Brown and Company Publishers, one kid makes a difference, Peter Brown, Sunnyvale Garden Club, The Curious Garden. Bookmark the permalink. Reblogged this on Finding Purpose Beyond Our Pain.